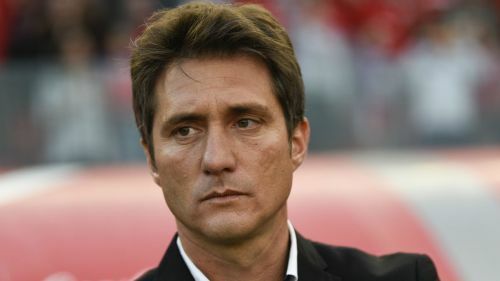 Guillermo Barros Schelotto lamented how the unsavoury scenes that led to the postponement of the Copa Libertadores final has cost Boca Juniors and River Plate the chance to showcase the best of Argentine football to the watching world. The first leg of the eagerly anticipated fixture finished 2-2, but that has become somewhat of an afterthought following the incidents that twice led to the suspension of the return tie at El Monumental. Boca's bus was targeted by home supporters on November 24, with windows smashed and captain Pablo Perez and team-mate Gonzalo Lamardo taken to hospital to have potential eye injuries examined. A hastily re-arranged date for the following day was again scrapped when CONMEBOL accepted Boca's stance that it would be impossible for the game to take place under conditions of "sporting equality". The fixture was contentiously rescheduled to take place at Madrid's Santiago Bernabeu on Sunday, a decision that Boca boss Schelotto can understand after the "damage" caused to Argentine football. "Obviously we would have liked to play this final in the country of the local team, but it wasn't possible in Argentina," he said. "I understand the situation that meant this match will be played here in Madrid and not in South America and it is lamentable that this happened. "It was a fact regarding violence in football. It's not that us, the players and coaches decided this. "Unfortunately, we don't learn any more. It is like we repeat again and again the same mistakes and the only things that are damaged is the figure of Argentinian and South American football. "It would be true to say that today we should be speaking about how Boca and River took Argentinian football to the top of the football world. "Boca and River are playing a Libertadores final for first time in history after being the best teams in the competition, but we are talking about violence. Unfortunately, we lost once again."